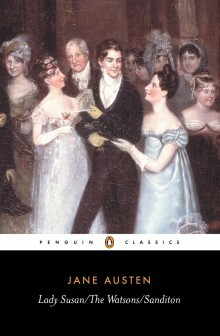 Lady Catherine insists to Elizabeth Bennet in Pride and Prejudice that she must not think she will ever improve her social status by marrying Mr. Darcy: “Do not imagine, Miss Bennet, that your ambition will ever be gratified.” From Lady Catherine’s insistence on thwarting what she perceives as Elizabeth’s ambition, to Mrs. Vernon’s fears in Lady Susan that Frederica will be “sacrificed to Policy and Ambition,” to Anne Elliot’s modest ambition in Persuasion to find “a small house in their own neighbourhood,” there is in Jane Austen’s novels an ongoing preoccupation with ambitious desires, whether those desires are focused on status and power or on the pursuit of more modest alternatives. Over the past several months I’ve been writing about ambition in Austen’s works and in her life, and in June I spoke at a JASNA Eastern Pennsylvania meeting about the question of whether ambition is a vice or a virtue, and about what we can learn from Jane Austen as we try to come up with answers. I’m in the process of working out what I want to do next with this fascinating and controversial topic — which is to say, I’m trying to figure out whether I want to write blog posts, essays, and talks, or maybe someday a book. Whatever I decide, though, I do know that I want to explore the history of ambition further, especially in relation to Austen’s novels (and, as I mentioned here a few weeks ago, in relation to novels by L.M. Montgomery and Edith Wharton). I’ve created a new page on my website to collect quotations about ambition and to keep track of the blog posts and essays I write about “Austen and Ambition.” I’ve also started to collect articles and images on an “Ambition” Pinterest board. I would love to hear your suggestions about characters who lack ambition or are said to have too much of it, and about passages in Austen (or elsewhere) that take up this question of whether ambition is good or bad. I hope my own ambition to continue to find “good company and a great deal of conversation” will be gratified. I love talking about Austen (and Montgomery and Wharton and other writers) online and in person. In 2016, I’ll be speaking on Austen and ambition at a JASNA Nova Scotia meeting, and I’m excited to share some new ideas I’ve been writing about in the months since my talk in Philadelphia. I’ll share more details once the date is confirmed. 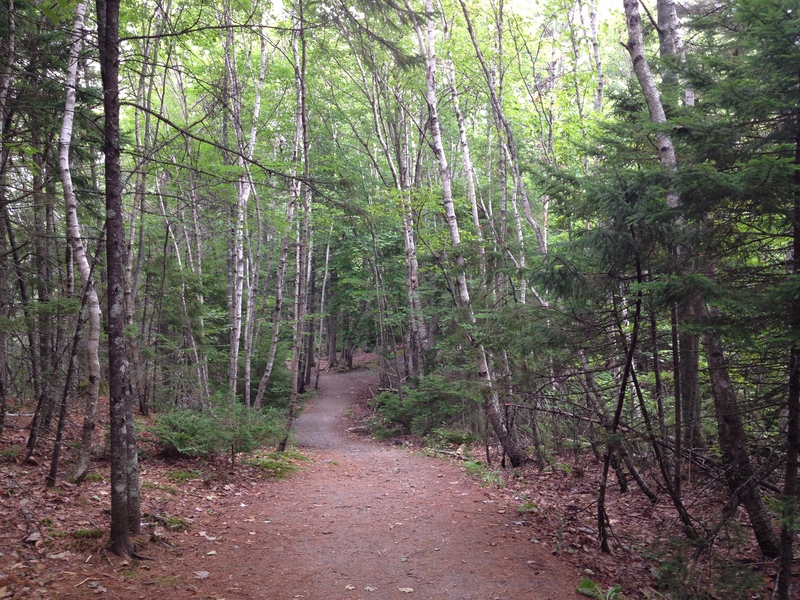 I’m also collecting images that appear in conversations about ambition: there’s “the bend in the road,” from Anne of Green Gables (with the imagined “new landscapes” and “new beauties” beyond), and the “alpine path” that L.M. Montgomery describes in her autobiography. I’d be glad to hear your suggestions about additional similes and metaphors. Ambition as a fire? Ambition and the danger of flying too close to the sun, perhaps? You, Sarah, take on ambitious projects! I love being tasked to find quotes, et al about this topic. I’ll be checking in again. Thank you! Thank you, Leslie. I’ll be keen to hear what you find. I know you’ve been thinking about some ambitious 18thC. women, and I’m curious about whether ambition is mentioned in the travel memoirs you’re reading. This very interesting blog post made me start thinking of literary examples of ambition, particularly of its casting as either vice or virtue. Uriah Heap (from Dickens’ David Copperfield) came to mind as someone who is an archetype of ‘unacceptable’ ambition. He seeks to improve his status not only by fraudulent means but also by a form of ‘humbleness’ that is so extreme, so parodic, that it speaks of its own opposite — a furious contempt for his social betters that challenges the social order that he is trying to advance in. And in fact he does eventually reveal himself to despise and hate the people whose status it is his ambition to occupy. Perhaps his ambition is unacceptable because its motivation (hatred of his ‘betters’) fails to endorse the social hierarchy. Acceptable ambition would honour that hierarchy. And in Lady C’s mind Lizzie fails to respect hierarchy by the extremely courteous way (from the first time she meets her) that she fails to give Lady C. the flattery she craves. Lizzie uses polite speech so precisely and subversively that her propriety towards Lady C. is almost as parodic as Heap’s ‘humbleness’. It speaks of an assurance of being better than one’s betters. Interestingly David Copperfield himself is striving to advance socially whilst full of hatred and rage for the step-father who cast his social position down (and Dickens of course was at least ambivalent about his own father who did little for the family’s social position). So David and Dickens are very much more like Heap than they would seem to like to think. Does Dickens’ make his own and David Copperfield’s ambition more acceptable and noble by pushing all of its sleazier elements onto an ‘other’ created to bear all those difficult feelings of resentment, jealousy, contempt, that run alongside the ambition to usurp one’s ‘betters’? Hope your project goes well. That lovely scene you reference, where Lizzie Bennett finally gives Lady C. a talking to, is one of my very favourite Austen moments. Uriah Heep! Perfect. Thank you so much, Claire, for taking the time to comment at length about Dickens and Austen (especially when I know you had other pressing deadlines…). I appreciate it. The comparisons with Elizabeth, David Copperfield, and Dickens himself are fascinating. I’m wondering now if the same kind of thing might be said of Elizabeth and Austen in relation to Mr. Collins and *his* version of “humbleness.” To borrow your phrasing, perhaps Elizabeth and Austen are more like Mr. Collins “than they would seem to like to think.” And maybe Austen makes her own, and Elizabeth’s, ambition more acceptable and noble by making Mr. Collins into a similar kind of “other”? I don’t know. I’ll keep thinking about this. 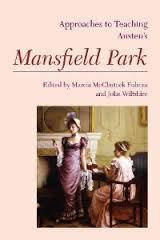 I do like what you say about Mr Collins perhaps having the same status for Elizabeth Bennett and for Austen that Uriah Heep seems to have for David Copperfield and for Dickens. At first I thought “No, that can’t be, because Elizabeth just *isn’t* ambitious. She has a very proper sense of her own worth and doesn’t need to prove it by grappling for social advance. She stresses (to Lady Catherine or just in her own thought processes?) that she is a gentlewoman, and that there is a fundamental equality among the gentry that operates alongside the hierarchy of noble title: all members of “the gentry” equally are part of a clan entitled to an equality of respect, title or no title. But then I thought differently. Her status as a gentlewoman is threatened twice over: by a lack of money (all those daughters and the estate entailed away from them), but also by her family’s failure to behave with propriety. They break so many social rules of polite society that, especially given their lack of funds, they do risk plummetting in social status within a generation. and Liz is acutely conscious of that. For all her insistence that she is a gentlewoman she can’t feel at all secure in that status. Though Lady Catherine is wrong to think that she cares for the huge social leap of marrying into a titled and super-rich family, she does (eventually) want to make another, equally huge, leap: from a family that is relatively uncultured, socially ridiculous, improper, to the extreme super-propriety of Darcy’s refined milieu with its very secure grasp on all of the conventions of good conduct. And she finds all these material and social concerns crass in the context of finding a lover — she wants to disavow them but ultimately she can’t. So psychologically it is just as useful for her as it is for David and Dickens to find a grotesque ‘other’ to carry the nastiness of an ambitious character. Thanks very much for this, Claire. I’m glad to have your further thoughts on the topic, and I’ll come back to your comments as I continue to work on this project. It’s very interesting that Elizabeth insists on her status, but doesn’t feel secure about it. This is amazing, I love it. I can’t wait to see what you come up with. I feel like having this in the back of my mind will change the way I read Jane Austen next time and I’m very much looking forward to that. Thanks, Eva. I’m really excited about the project, and I’m happy that you share my enthusiasm. It’s so interesting to see how one key term like “ambition” can change the way we read. As you know, I kept thinking about ambition during the whole Green Gables Readalong, which meant that I noticed it (or its absence) in all those novels (or rather, in all the ones I’ve reread up to this point — I am, at long last, partway through Anne of Ingleside). Which Austen novel are you planning to read next? I’d always thought of Anne as being particularly ambitious – held up to the standards of her time. This was the first time I noticed how her ambition waned as other dreams came true, namely that of becoming a mother. Oh, excellent choice. P&P is my favourite novel of all time. I hope you’ll write about it. Mine too. I don’t even know how many times I’ve read it at this point. Totally different genre, but when I think of an ambitious character from literature, Scarlett O’Hara immediately comes to mind. She’s a bit like Undine Spragg in her self-promotion (or sometimes self preservation), often trampling over the lives of others on the way to her goal. The Pearl by John Steinbeck is another example of a story where the author seems to highlight the negative consequences of ambition. 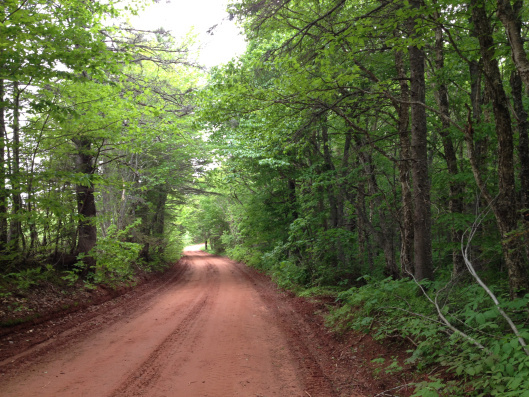 As you touched on in a recent blog post, the Anne Shirley we met at Green Gables was full of ambition and aspirations. Nothing (not even handsome Gil) could stand between her and her education and dreams of being a writer. Yet by the time we get to the later books in the series, Anne’s ambition is all but gone (or at least that’s how it feels to me). Even within Austen’s work, the “flawed” characters that are a bit easer to love (I’m thinking of Lizzy and Emma here) seem to be more ambitious than the “virtuous” characters that readers seem to have more trouble with (Fanny Price and Anne Elliott). I can’t wait to read what you come up with. Scarlett O’Hara is a great example, and “trampling” is a great word. Thank you very much for commenting at length, Elizabeth, on a day when you (like Claire!) had other deadlines. Thanks for your interest in the project, for mentioning The Pearl, and for your point about how Elizabeth and Emma seem more ambitious than Fanny or Anne. I think probably anyone who’s searching for something “higher” could be considered ambitious, whether that search is for higher status through marriage or friendship or professional advancement, or for some other higher goal, such as true love or perfect happiness or athletic accomplishment (and so on). Yes, you’re right. I think my initial response was based on a moral judgement, rather than having thought about the reasons for ambition. Oh my goodness Sarah! What a project. If you want to tackle ambition in Wharton, there is plenty in that realm of early 20th century New York Rich. Wharton is a heavy weight and once you read her, you appreciate her. Her work is full of characters of ambition. The Buccaneers and The Custom of the Country are two novels that are rife with ambition. It has been a while since I have read them but I do remember the main characters, the women who tried and married into old English families for status and wealth as well as Undine Spragg, a spoiled child who drove her well to do parents into debt as well as her husband, who killed himself over her in her never ending search for more wealth and status. Wharton certainly lived longer than Jane and published more novels. Age of Innocence was the tops for her. I do not know about Montgomery. I haven’t ready any of that author. You are certainly ambitious yourself for tackling any or all of these authors. Yes, Wharton did write a great deal about ambition! Undine Spragg is one of my favourite characters. There’s so much material that it will be a challenge to find the right focus for my project. You’re quite right that The Buccaneers is another good example. I recommend Montgomery’s novels highly — Anne of Green Gables is famous and memorable for good reason, and I’ve always admired Anne’s energy and her commitment to furthering her education. Thank you for commenting, Denisa. Love the way you go about your project – good luck with it, whatever the shape it takes! On the face of it, the quotes you mention in this post as well as in “Austen and Ambition” would indicate that she disapproves of it and thinks it’s all right not to have any. Once we dig a bit deeper, however, a much more nuanced picture emerges. I’ll just focus on the two people apparently untainted by it. Edward Ferrars has no ambition, which Mrs Dashwood doesn’t find objectionable in principle. But she sees that lack of enterprise might come dangerously close to idleness, and politely suggests that he should take up a profession “to engage your time and give an interest to your plans and actions.” Edward does aim high, wishing, “as everybody else to be perfectly happy,” but doesn’t do much about it. Admittedly, his mother, on whom he depends, has made it difficult by opposing his career choice, but having “nothing in the world to do” has led him to an unwise engagement, all but putting paid to his hopes. We may condemn Lady Susan’s ambition unreservedly, and laugh heartily at the outcome of Caroline Simpson’s, but in JA’s adult writings things are seldom black and white. Thank you for your thoughtful analysis of these passages, Monica. Edward does aim high, and he gets rewarded, but it does seem that his ideals are more ambitious than his actions. I think JA did understand quite well from her own experience that it’s easy to be tempted into speculating and calculating and forming expectations. 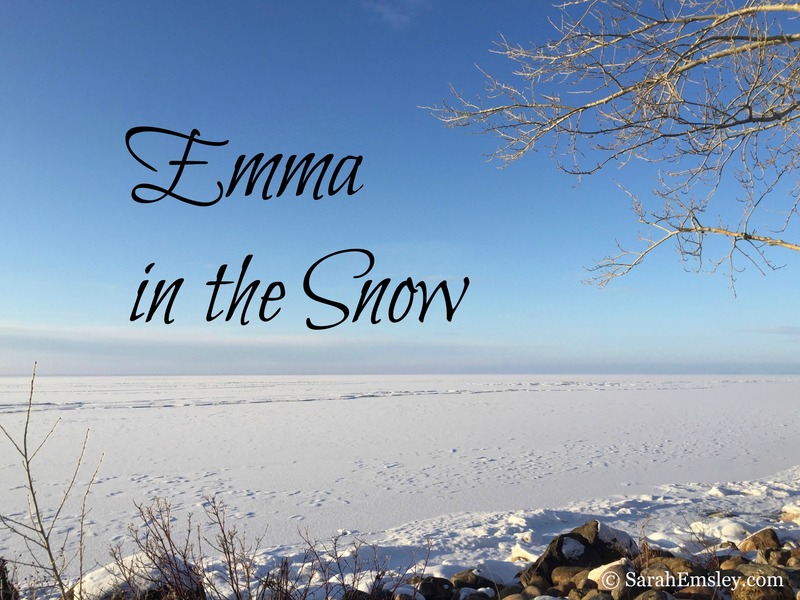 It’s one of the reasons she understands and writes about the virtues so well — she can see what the complexities and temptations are for her characters. Thinking of quotes about ambition I remembered the Biblical passage, 1 Thessalonians 4:11 “Make it your ambition to lead a quiet life, to mind your own business and to work with your hands,” Sounds like Ann Elliot and Fanny Price. The instruction to not deny it reminds me of the comments about Uriah Heep! He was full of selfish ambition and it certainly led him to much “evil practice”–all the while claiming to be so humble! bleck! Bleck, indeed! Thanks for highlighting these biblical quotations, Sharon. I talked about a few biblical passages, including “Be content with such things as ye have” (Hebrews 13:5), in the talk I gave in Philadelphia. There are so many different kinds of ambition — great contrast between quiet ambition and selfish ambition. Does leading a quiet life mean never speaking out about injustice, I wonder? I’m always fascinated by what happens when virtues come into conflict with each other. Sarah, I love your themed projects! This is such an excellent way to extract even more from our beloved favorites. I will be along for this journey, listening in–perhaps even piping up with a comment, now and again (and hopefully not repeating what someone else just said) 🙂 It seems to me that ambition can run a recognizable, though diverse thread through most of Austen’s characters–even if it is a simple ambition of Mr. Bennet’s to be left alone in his library to read, to Mrs. Smith’s gregarious desires to go beyond the bounds of her invalidism and know all the doings around Bath. I appreciate your enthusiasm for the project! Please do add your comments, and don’t worry about repetition. I like the way your examples connect ambition with reading and with gossip.